Acomplia, which is now a banned diet pill in the USA, was banned in October 2008 because of its very serious psychiatric adverse reactions, even suicidal tendencies. Its active ingredient, Rimonabant, had very good appetite suppressing properties and Acomplia was a prescription diet pill which dieters could get only after consultation with their doctor or GP. Rimonabant influences the brain in a very different way from other similar pills, and can suppress cravings for sweet and fatty snacks. Severely obese people who used this product mentioned that they found it especially helpful as they could fight their cravings and they did not regain weight after they stopped taking the pill. When Acomplia was first used, doctors and dieters seemed especially pleased with its results. Morbidly obese people saw a light of hope as they could see their weight reduce successfully, and doctors who prescribed it believed that it could become the ultimate obesity treatment. But unfortunately, that was not the case. From 2006, when the product was first introduced to the USA market, until 2008, more than 100.000 overweight people were given a prescription for this powerful slimming drug. Dieters’ unwanted adverse reactions were not immediately connected to the pills they used, but when several cases of dangerous side effects were reported by Acomplia users, the drug had to be removed from the market and its use was banned. 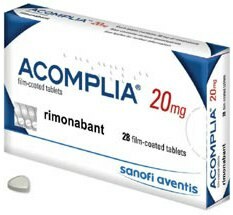 Today Acomplia Rimonabant is a banned diet pill and selling it either online or offline is illegal. Dieters are advised not to attempt to buy and use this product because their health will be at serious risk. Acomplia is a very powerful slimming drug and its active ingredient Rimonabant can affect the centres of the brain that control appetite which Acomplia succeeds in suppressing successfully. Rimonabant can block the cannabinoid receptors of the brain which are responsible for our cravings for food and not only. Rimonabant used to be administered to people who suffered from addiction to tobacco, drugs and alcohol with very positive results. There have been some reports of serious psychosis side effects that led to Acomplia being banned. There was also the case of a woman who tried to commit suicide and several cases of people who got addicted to the drug. Acomplia was a successful appetite suppressant and it could stop cravings and addictions of many kinds. It could also increase the levels of good cholesterol and reduce the level of triglycerides that is, the bad cholesterol. At first it was hailed as a “wonder drug” but when dieters started reporting really serious side effects, the pill had to be banned. The main disadvantage of Acomplia was that it had many side effects ranging from mild ones which dieters could easily bear to very serious, even life-threatening adverse reactions. Today, there are several successful appetite suppressants that you can get even without a doctor’s prescription. They are very effective and they practically have no unpleasant side effects. 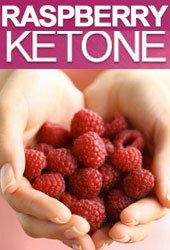 They can suppress your appetite and help you lose your excess weight without putting your health at risk. Can I Buy Acomplia ? Acomplia is still sold illegally on different websites, but even if you are facing a serious obesity problem, you must never try to buy and use Acomplia. 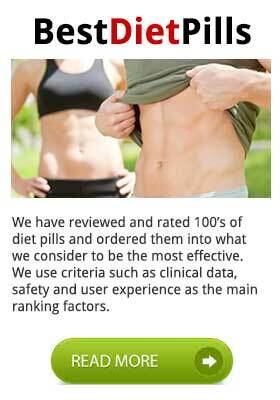 All dieters should know that prescription diet pills are not suitable for everyone who wants to lose weight. Doctors are the only ones who can judge whether someone qualifies for a prescription drug or not. Prescription diet pills are chemical-based products and they can have adverse reactions depending on your medical history, the ailments you are suffering at the moment and the medication you are under. So, if you are facing a serious problem with obesity, either visit your doctor for a prescription diet pill or you can use one of the many over-the-counter slimming products. If you are determined to lose weight, it is almost certain that you will be successful in the end. You need motivation and will power. You don’t need serious side effects and risky situations that will make things even worse. One of the most reliable prescription diet pills is Orlistat which is sold under the brand name Xenical. It is a powerful fat blocker which can prevent the digestion and absorption of a large part of the fat that is contained in our meals. There are however several other diet pills that that are highly effective that do not need a prescription and can be legally purchased. PhenQ is one such product.